SDEROT NEEDS YOU NOW MORE THAN EVER! It is with a broken heart that we inform you of the passing of Rabbi Moshe Pizam’s (Our leader in Sderot) father, Rabbi Yigal ben Shmuel Yehuda Pizam Z”L, of Haifa after after a long illness and tremendous suffering. Rabbi Yigal Pizam Z’L worked and fought for the poor and needy of the Haifa region for 60 years and instilled in his children the important mission of caring for those who could not care for themselves. Our leader, Rabbi Moshe Pizam will be sitting shiva the entire week before Passover, the most critical week in caring for those in need for the Holiday. Along with his son, we will forge through successfully and use all that he has taught us to make sure every Jew in need is cared for. May each of your donations be a merit to this special family. As we enter Shabbat, we are preparing to spend Shabbat in Bomb Shelters. 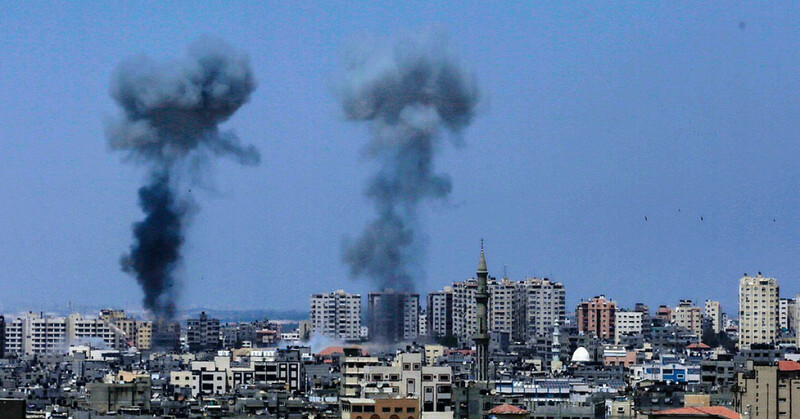 The situation is critical on the Gaza border and Hamas knows how disrupt our lives before every Holiday. 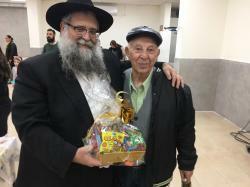 Chabad Sderot spent the last week filling bomb shelters with food, water, medical supplies, oxygen tanks, and strategically preparing to help the elderly and sick into the shelters when the sirens begin wailing. This is aside from the tens of thousands of kilo of food and supplies that we are providing for Passover. Hamas knows the Jewish calendar well and know exactly when do disrupt our lives before each holiday. We plead for your assistance. You have been a tremendous support to the people of Sderot in the past. Please continue to support them for Purim and Pesach this year. You are help is appreciated beyond words. Wine, Grape Juice, Matzoh, Oil, Butter, Milk, Eggs, Fish, Chicken, Meat, Vegetables, Fruit, Cleaning supplies, diapers, seder plate and much more more. In addition, each family receives a voucher for 1,000 shekel per child for a new outfit and shoes. 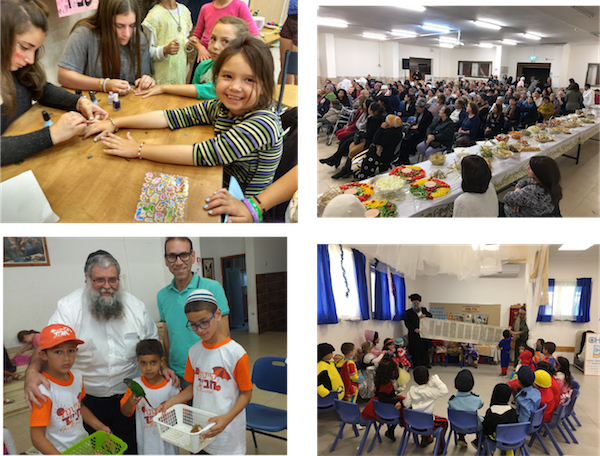 With Purim and Passover around the corner, Chabad Sderot is preparing on multiple fronts. The number of families they serve increases from more than 500 low income families to over 800. In years of conflict, it is even more difficult as many working families have lost part of their income and need supplemental assistance. This past year has been a difficult one for the poor , elderly, and sick of Sderot. They have endured hundreds of attacks, hundreds of days in bomb shelters. People have lost their livelihood. When the attacks are not in the “news cycle”, the people of Sderot become forgotten. We know from sad experience that Hamas knows the Jewish calendar all too well. They plan and coordinate to disrupt the lives of the Jews on the southern border during holiday seasons. If you are following the news, you will know that once again things are heating up. We are hoping for the best, and preparing for hard times. As always Chabad of Sderot is on the front lines preparing bomb shelters with food, water, medical supplies, clothing, and games for children. Sderot, a low-income city just 1 kilometer from the Gaza border, acts as a buffer between Gaza and the rest of Israel. As the closest city to Gaza it is crucial to the security of Israel on its southern border. The people of Sderot are a constant target, living in fear of rockets and mortars, running to shelters every time the sirens sound, at all hours of the day and night. The IDF and Israeli government work hard to protect them, but they can only do so much. Many residents of Sderot (40% of them children!) already suffer from anxiety and PTSD from past conflicts. Many victims of this constant terror are unable to return to work, affecting their livelihoods and local businesses. Businesses are having to close. Children are once again living in fear and terror. Chabad of Sderot has been on the front lines for 25 years. Our programs support IDF soldiers, the elderly, children, and the needy. We provide services and supplies to IDF soldiers, daily hot meals, weekly food packages, medication, after school children’s programs, summer camps and trips and much much more. Now, we are asking for your support to ensure the best holiday experience for the people of Sderot. Your support will contribute to this aid and so much more than words can ever describe! The holiday packages that Chabad provides for Passover can feed a family of up to 10. The cost of these packages is higher than the food packages supplied throughout the rest of the year. Some items in the package include: grape juice, Challa, fish, Grape Juice, wine, cleaning supplies and diapers. The items have been purchased by Chabad or donated by generous donors. The total cost per person ends up being about $102. Right now, we have a total of 820 families and 1800 people signed up to receive these packages, making the total cost a staggering $625,000. Through generous food manufacturers and suppliers we were able to procure $541,000 in donated food leaving our cost at $83,600. These families would not have a chag sameach (happy holiday) without the help of Chabad Sderot. And Chabad cannot do it without YOU! We want the people of Sderot to be blessed with aPassover of health and happiness. To taste the sweetness of freedom and regain a sense of hope for the future. To reflect on their past and and be blessed with true freedom from constant fear of attack just because they are Jewish. To once and for all leave Mitzrayim! With the rise of violence and the constant threat they endure, they have experienced a lot of trauma in the past year. The number of soldiers stationed on the southern border has also increased. Thus Chabad Sderot will host more than 500 chayalim during the Passover for the Seder and other Holiday meals. On top of the holiday packages and gatherings, we will be providing low income families with donated gift certificates in the amount of 1,000 shekels for new clothing. The total amount arranged is 50,000 shekel, approx $12,500. We would like to provide this same thing for an additional 50 families. So this year when you sit with your family at the Passover Seder table , we can think about this holiday for what it is, Zman Cheirutaynu, the time of our freedom. Because we can rest easy knowing that we have helped our brothers and sisters in Sderot do the same. "Sdorot, we are with you. Am Yisrael chai! !n'eNow!" "May Hashem bless you every minute of every day - Chag Sameach!" "Kasher, frelichin Pesach! Moshiach now!" "Chag Pessach Sameach! AM ISRAEL CHAI!" "לעילוי נשמת דוד יצחק ז'' ל בן שרון"
"Chag Pesach Sameach from central coastal California!!" "פסח כשר ושמח! הרבה אהבה." "Refuah shelemah Baruch Ben sabriya"
"Best Wishes and the Happiest holiday from the folks at Cafe Viva!" "Pesach samaeach v kasher. 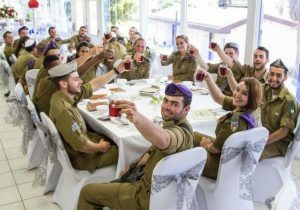 We thank you for all you do for Am Yisrael living by our borders and In Israel"
"May you live well and safely with Hashem looking after you. May your enemies suffer horribly." "In Honor of the State of Israel and the Jewish people worldwide"
"In memory of Pauline Foulston - my grandmother and a friend of Israel and the Jewish people." "May Israel all soldiers be blessed with long life." "Tizku l'mitzvot and Chag Kasher v'Sameach!" "In memory of Rose and Charles Lipschitz"
"In honor of the Colman family of Munsey NY"
"In loving memory of Alex Hale and Jamie Western"
"Hope this little bit will help those in need enjoy a sweet Pasach!" "This is a great cause. Please donate." "May your feast be blessed by God"
"Wishing the Sderot community a simcha filled & peaceful Pesach." "In memory of my grandmother's family that came to California from Kishinev." "I wish one day that the people of Sderot will be able to live without daily hate and threats coming from Gaza." 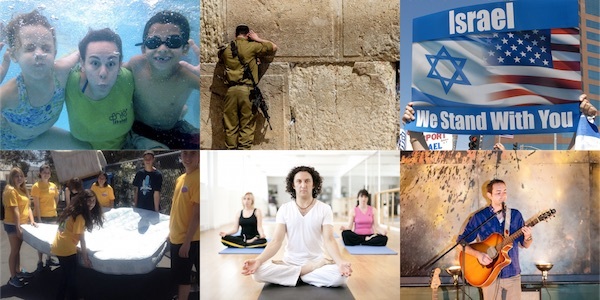 "God bless Israel & keep it safe!!! Love Israel!" "For the courageous people of Sderot"
"May GOD bless the Jewish people." "hope you will have peace"
"Wishing Sderot Residents a Chag Sameiach!" "leilui nishmat Avraham ben Sara and Sara bat Leah"
"May God bless you this Passover and may His protection be over you!!" "For the Refua of Yitzchak Ben Avigail"
"May the Neshamah of Avraham ben Osna H'Kohen have An aliyah"
"memory of my father who just past away a few weeks ago"
"My friends and I pray for you, you are not allone, we love you! God bless you!" "in memory of Isabel Harris , Baila bat Yehudah"
"May HaShem protect His people Yisrael and send His Mashiach soon. Am Yisrael Chai !!!!!!! My love to all." "hag Pessah sameah, be safe"
"Tzvi Ben Shoshana Rochel. Batya Pesel Bat Shoshana Rochel. Rivka Miriam Bat Shoshana Rochel Shoshana Rochel Batya Ita All Yeshuos and Nechamos"
"may we all celebrate pesach in true freedom, as a nation and a people"
"Praying for the safety of Sederot and our soldiers." "In memory of Beloved Wife Shirley"
"Yasher Koach Chabad of Sderot and all of its citizens. May you go from strength to strength, with a joyful Pesach and may we ALL greet Moshiach finally in the flesh!" "Shalom dear all. Let peace stay forever for you!" "GOD BLESS THE PEOPLE OF ISRAEL, MAY YOU AN YOUR FAMILIES ALWAYS BE HAPPY AN SAFE FROM ANY HARM. AMEN." "hag Purim samach to all Stay warm and thank you for your service and protecting Am Yisroel." "In memory of Svetlana bat Rafael, Baruh ben Moshe"
For 25 years, Chabad of Sderot has tirelessly supported the people of Sderot. Through times of crisis and conflict and in quiet times, Chabad of Sderot has been a crucial part of supporting the people of Sderot. They have been recognized by Mayors and Prime Ministers as a humanitarian organization. Chabad of Sderot cares for more than 300 low income families on a weekly basis. They provide food and essentials throughout the year, medical assistance, after school programs, trips and summer camp for children and teens, Bar and Bat Mizvot, weddings, and other family special occasions for those who cannot afford it. They receive no payment and their programs are supported by generous people around the world. Chabad reaches out and assists all in need no matter their religious or non religious affiliation. Every dollar goes towards ensuring a chag sameach for the people of Sderot! With each generous donation we are a step closer to a happier holiday despite the odds against us! With hundreds of families in need of your support, this generous donation will get us where we need to go! In times of celebration we wish those celebrating their birthdays that they will live until 120. So, to 120 more years of happy Passovers!! A level like the rush of putting your first quarter into the tzedaka box, multiplied by a few...we thank you for your wonderful contribution! Your generous donation will provide a much brighter and deeply meaningful high holiday experience for the people of Sderot. Your generous donation will provide holiday packages to at least two large families! Passover in Sderot has been made immensely easier, healthier and happier for countless families because of YOU!